Last month, the Financial Times released its rankings of global business schools. What is heartening for India is that the country’s numero UNO, IIM Ahmedabad, has found a place among the global top 30. What is even better is that three out of the top five B-schools in Asia are from India. What is not so encouraging is the fact that India has lost out to China, which has taken the top slot in Asia. While the presence of leading Indian B-schools in the global list is a huge endorsement of the improvement in quality and approach towards business education in India, this has largely been lopsided, with most of the top 10–15 getting the laurels while the rest, for the most part, still follow an arc­haic approach. Innovation is yet to become mainstream, and progress in keeping up with the demands of industry leaves a lot to be desired. 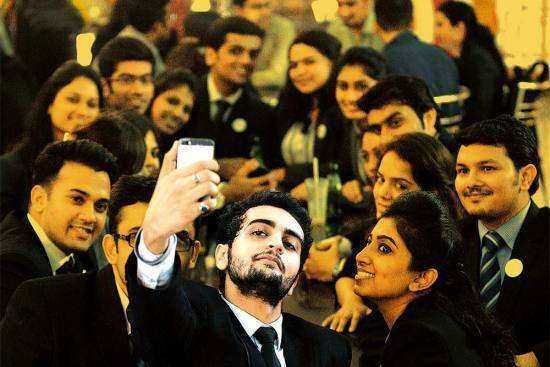 Also, the most important aspect— entrepreneurship—remains absent from Indian MBAs. This goes all the way to the top B-schools, though some are building it into their curriculum and have started thinking out of the box. IIM Ahmedabad is in the global top 30, three out of Asia’s top five B-schools are Indian—but China is number one. The overall quality of education is yet another thing. While the top 20–25 business schools maintain an innovative app­roach and are keeping their curricula updated with the dem­ands of the times, the vast majority still follow an outdated mode of instruction and are stuck with the case study-based approach that most global—and leading Indian—schools have left behind. And today, most corporates complain that MBAs and engineers are not industry-ready, and firms have to spend time and money to retrain them and make them fit for work. The problem is accentuated by the unc­hecked proliferation of B-schools across the country without any quality control. That is the real challenge for Indian business education: to bring the huge number of MBA graduates churned out every year up to the mark, and make them employable. Under these circumstances, the Outlook-Drshti ranking of India’s top B-schools becomes relevant and lends a helping hand to ­parents and students considering business as a profession. The ranking once again throws up no surprises at the summit, with the top schools, led by the Indian Institutes of Management (IIMs), cementing their hold over the pole ­positions. The good news is that many newer schools have come into the fold and earned a position in the rankings. We also had better participation than last year, bringing many new faces into the ranking ring. A welcome development in the last couple of years has been that some B-schools are offering Global MBA courses, which will help students make the world their stage and prepare them for a global role. As such, we present for the first time a table on B-schools offering global courses. Our stories package looks at a wide range of issues that are relevant not just to today’s entrepreneurs, but also for students choosing business and entrepreneurship as their car­eer. The story on the state entering the coaching sphere looks at the relevance of the government in this ecosystem and how it can help students who cannot afford coaching in the private sector. We have an interesting story on how the youth of Kashmir have taken it upon themselves to revive the dying carpet-making industry in the region. Another story explores how MBAs from leading B-schools are innovating in the food trade to make a difference in society. With the liberal arts taking centre stage among all streams of study, multilingualism is fast becoming a mainstay. Our story looks at how the study of languages is growing in importance as a way to make students not just industry ready, but also to prepare them to face the world. Going forward, industry will be more demanding and gradually, the entire world will become the students’ arena. Business schools will have to be pro­active in preparing their students to face new ­challenges. For our part, we will do our best to educate them on the choices available, in order to to help them ­dec­ide what would be best for their ­future. As we ­always say (feel free to check), choose wisely.